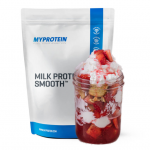 Deal Categories: Protein Powder.Stores: MyProtein. SAY WHAT?! Yes, somehow, the price for the popular milk protein smooth (2.2LB – 30s – in 2 flavors) drops all the way to $7.5 at MYPROTEIN. To make things even crazier you can use the coupon below to drop the price to $6!! Add to cart and apply coupon ‘VIT20‘ during checkout. Hi there, check out the information about this Deal. I think this might interest you. Deal Categories: Protein Powder.Stores: All Star Health. It’s back. Watch our full video review of this isolate HERE. Add 2x5LB to your cart for $66.49. Currently Available in 7 flavors. This is the best total price we saw by at least $41! Deal Categories: Protein Powder.Stores: Supplement Hunt. 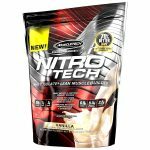 The price 0n the MuscleTech Nitro-Tech drop from $16.99 to $4.99 at Supplement Hunt! 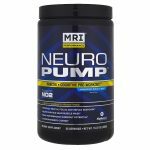 Buy one MRI Neuro Pump Blue Razz (30 serv) & Get one free for $19.99 at Supplement Hunt. Use coupon neuropump2 during checkout. Shipping adds a flat $6 or free over $99. This is the best shipped price we could currently find. We are fitness fanatics just like you, and we know it's not cheap to be fit! That's why our experts sort through hundreds of fitness related deals daily to bring you the select real deals on supplements, apparel and gym accessories. Copyright © 2019 FitnessDealNews.com. All rights reserved. All trademarks are the property of their respective owners. Some links may earn us advertising or sponsor fees; see our FAQ page. The information on this website is provided for informational purposes only and does not substitute a doctor’s or health care professional’s advice. Any information or statements regarding dietary supplements were not evaluated by the FDA or any other government agency unless specifically stated. You are now signed up and ready to start saving like a pro!